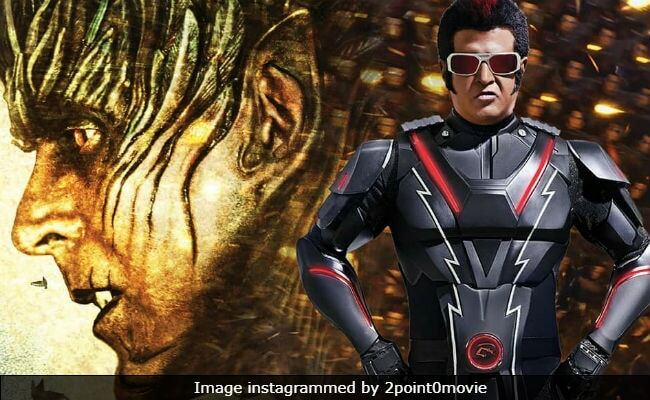 2.0 Review: Rajinikanth dives into the universe of the two pivotal characters with all his might. But there is a visible dip in his enthusiasm. He is back. This time around, Chitti is reloaded and primed to confront a force that is out to eliminate mobile phones and cellular transmission towers from Tamil Nadu. The battle between good and evil, between nature and technology, plays out over two and a half hours in a zone where all the dividing lines are blurred in a way that creates the possibility of multiple interpretations. But because the storytelling is, well, robotic, the frenetic action sequences rarely touch the heights that the flying mobiles achieve. The film talks at length about the sad reality of the sparrows vanishing from our metropolises - a theme culled from newspapers and social media platforms - but the pressing nature of the debate is buried deep under a flashy, impressive demo of animatronics, special effects and prosthetics. Eight years is a long time in the life of a movie star. 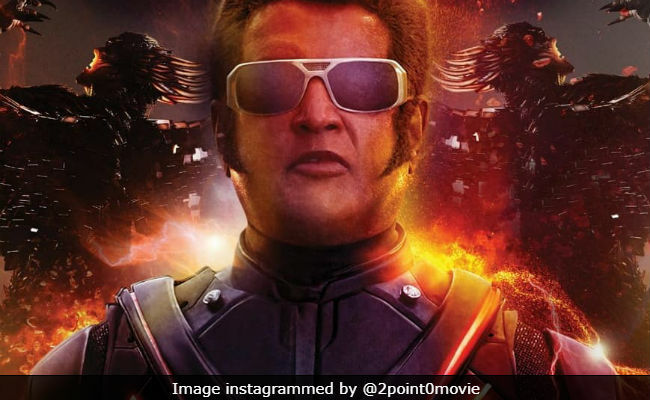 But for Rajnikanth, any hiatus can only be a flash.2.0, director and co-screenwriter Shankar's follow-up to 2010's Enthiran (Robot in Hindi), has materialised after the Tamil cinema supernova has used the long break to appear in four films (Kochadaiiyaan, Lingaa, Kabali and Kaala). It has been in the works longer than it took Dr Vaseegaran to conjure up Chitti the thinking robot. The film and its star show clear signs of wear and tear. For Rajnikanth fans, however, this shouldn't be more than a minor irritant. A mysterious power - its genesis is established in the film's opening sequence in which a man hangs himself from a cell tower - is out to eliminate mobile telephony from the face of the earth. Towers are uprooted and crushed. Handsets fly off the hands of their owners and turn into a destructive wave. A city is in the grip of complete mayhem. The army is called out but the soldiers draw a blank. The good scientist is roped in to stop the impending calamity. He advises bringing Chitti back from the dead. That, he says, is the only effective option in the fight against the new menace. His plan is resisted by elements in the administration but as matters begin to go out of control, Vaseegaran secures a free hand. 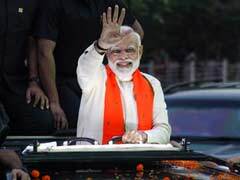 "Maut se zinda lautne ka mazaa kuch aur hi hai (nothing can match the joy of returning alive from death)," says Chitti in the film's Hindi version (dialogue writer: Abbas Tyrewala) just before he declares: "I am the one, the super one." Who dare question him? Definitely not fellow humanoid Nila (Amy Jackson), another of Vaseegaran's creations. On the face of it, the lead actor plunges into the universe of the two pivotal characters - the invincible robot and his brilliant creator - with all his might. But look deeper and there is a visible dip in his enthusiasm for and belief in the project. Fans sold on Rajnikanth's unrelenting starry sangfroid might therefore have reason to feel somewhat shortchanged. Of course, director Shankar possesses a penchant for couching the fantastical and the unreal in felt human dilemmas. He brings this attribute into full play in addressing the damage that cellular radiation causes to the environment. But the frustration of the activist fighting to save the birds but failing in his mission isn't brought out to the extent that would justify the murderous crusade that Pakshirajan (Akshay Kumar) launches against mobile phone sellers and users. The comic-strip superficiality of his war manifests itself in the manner in which he kills a wholesaler, a transmission tower owner and a telecom minister: one blown to smithereens, the other squeezed to pulp, and another literally poisoned with a diamond-studded mobile phone. Amy Jackson as the super-efficient robot who is at the beck and all of her master is aptly mechanical but does just enough not to be swamped out of this sci-fi action film designed primarily for Rajnikanth's larger-than-life, crowd-pleasing screen persona. The right-versus-wrong tropes that 2.0 employs are trite, but the battle at the heart of the film - it pits a warped model of development against the need for ecological conservation in a no-holds-barred fantasy - has moments that are thought-provoking and entertaining at once. But even for Rajnikanth, pulling this erratic, messy epic out of the fire is no cakewalk. He comes pretty close. 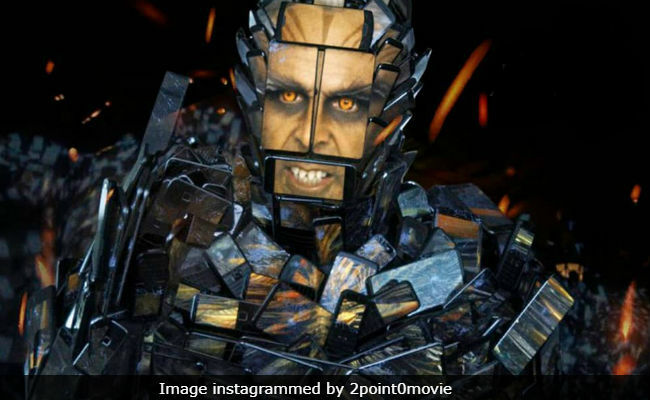 Watch 2.0 for its scale and ambition, if not for the superstar who can do no wrong.